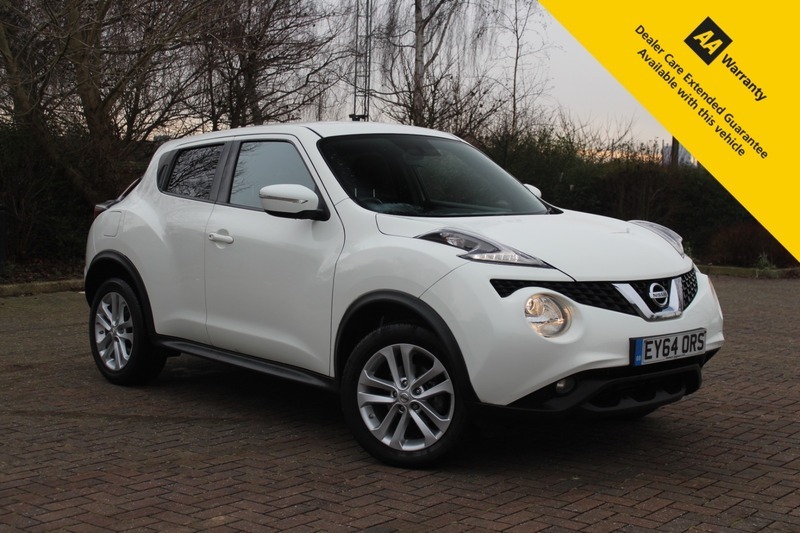 Here for sale at Leigh Cars Ltd we are delighted to present this impressive 2 OWNER FROM NEW LOW MILEAGE Nissan Juke 1.5 diesel Acenta Premium. The Acenta Premium model comes with an unrivalled specification list including electric windows and mirrors, climate control, auto lights + wipers, cruise control, bluetooth connectivity, sat nav, rear parking camera, alloys + much much more. This beautiful example has a SUPERB FULLY STAMPED SERVICE HISTORY - 4 stamps in total. It also comes with an advisory free MOT - EXPIRY SEPTEMBER 2019. This fine example comes with 2 fully working remote keys and is finished in the popular white paint and is in beautiful condition inside and out. This car is perfect for a growing family or maybe someone looking for a fantastic low mileage SUV hatch with an abundance of specification. This car will only cost £20 per year to tax and will return you an average of 70.6mpg, so is nice and economical to run for a bigger SUV vehicle. it truly is a SUPERB DRIVE and we would strongly recommend a test drive, so what are you waiting for? BOOK YOUR TEST DRIVE IN TODAY! HURRY - THESE CARS WITH THIS SPECIFICATION DO NOT STICK AROUND LONG - RESERVE THE CAR DIRECTLY ON OUR WEBSITE OR PLEASE CALL TO LEAVE A REFUNDABLE DEPOSIT TODAY. We are OPEN 7 DAYS A WEEK - Viewing STRICTLY by APPOINTMENT ONLY. Quality Cars You Can Trust.